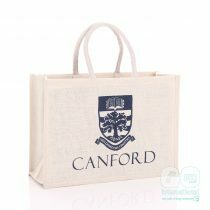 Whether you are just kick-starting your business or have been established for many years, a well-made, branded bag to reflect the quality of your product is essential. 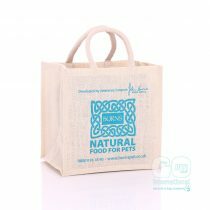 Our bags are functional and will benefit all retailers as a great marketing tool. 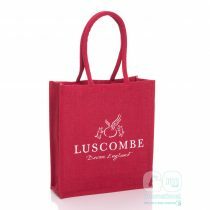 The bags are better than other traditional advertising methods as just one bag will be seen by thousands of individuals in their lifetime time and time again. 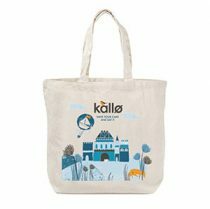 Read the case studies to see how you can stay a step ahead of your competitors. Delilah’s UmbrellasAt Delilah's Umbrella it all began with the arrival of two Kune piglets. These piglets would go on to transform the life of their 15 year old owner as she battled with depression, anxiety and childhood trauma. 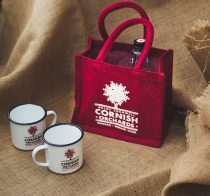 Cornish OrchardsPart of the Duchy of Cornwall estate, Cornish Orchards have been producing high quality ciders and apple juices since 1992. 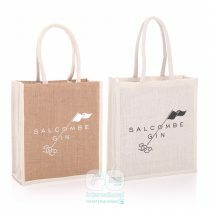 With the use of Cornish apples, the farm is renowned for offering a combination of fruity flavours. 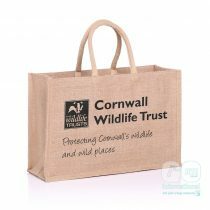 Nursery StoresRemote villages in areas like Cornwall really rely on their village shops. With the local community feeling well connected to the shop. 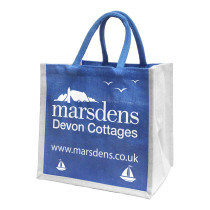 That is why having branding bags is so popular for local shops and customers alike! 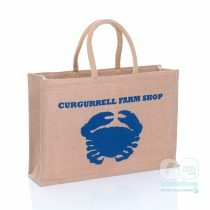 Curgurrell Farm ShopCurgurrel Farm Shop is situated at Portscatho, Cornwall. 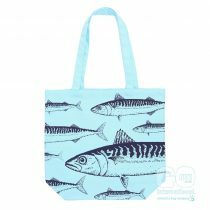 The family have been running the place for over 20 years, offering super fresh lobsters, crabs and fish caught by their sons and close friends. 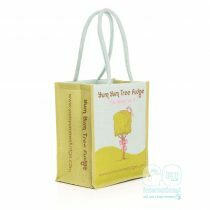 Yum Yum Tree FudgeYum Yum Tree Fudge created the perfect blend of Jute and Juco to ensure every detail of their design stayed crisp and true to their brand. 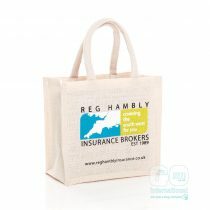 Reg Hambly InsuranceReg Hambly Insurance Brokers took advantage of this excellent marketing tool while thanking their customers for their continued support! 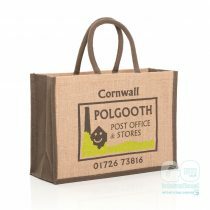 Polgooth Post Office & StoresWith the demand for a good quality reusable bags being at an all time high Polgooth Post Office & Store decided to offer their customers just that. 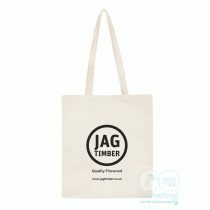 Jag TimberWe produced these printed cotton bags for Jag Timber to use at a promotional event and to aid their all year round marketing campaign. 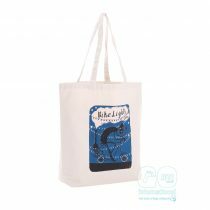 ThorgillsThorgills worked with our team to create these boldly branded cotton tote bags. 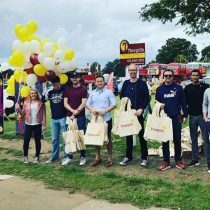 They used their bags at Brentford Festival an annual West London Event. 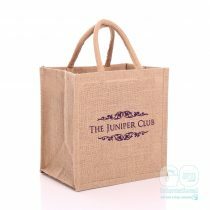 Juniper ClubWe helped Juniper Club bring these classic bags to life, through our speedy UK print service. 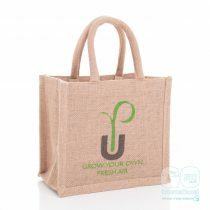 Urban PlantersUrban Planters used our small Jute Bags as a gift to give away at pop up offices around the UK during National Plants at Work Week. 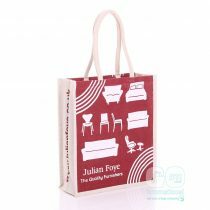 Julian FoyeJulian Foye created these jute bags with us to use at their sale preview weekend as well as a range of events and shows they where attending. 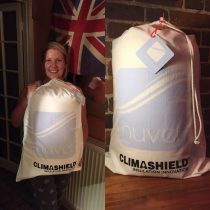 NuvetThe nuvet is the first duvet, with an integral cover; that can be washed as a complete unit, omitting the need for an external cover.